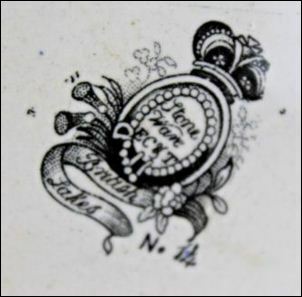 manufacturer of luster earthenware and black ware at Cornhill, Longton, Stoke-on-Trent. 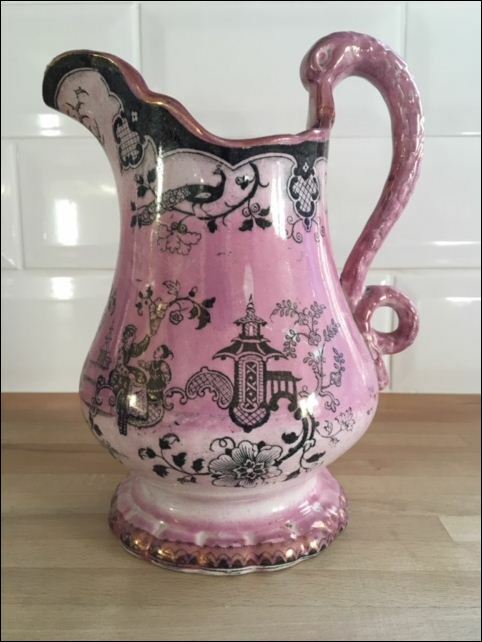 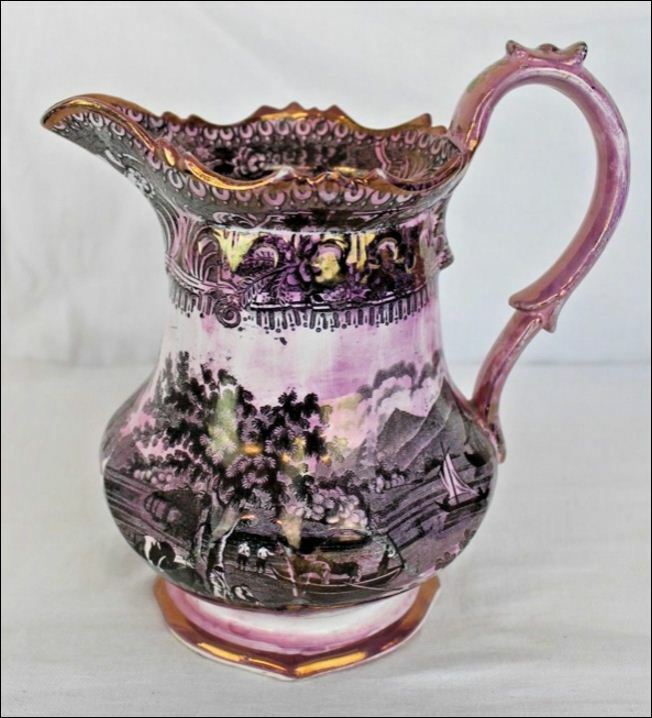 "The third class, which include the Egyptian-ware and figure manufactories are even still worse..."
The partners were George Everard, Thomas Colclough and George Townsend. 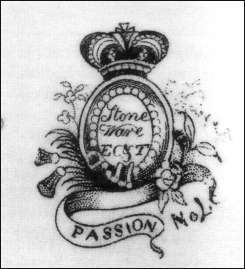 This partnership was dissolved in July 1845. 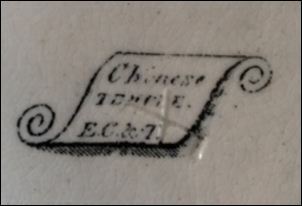 George Everard the joined with James Glover as Everard & Glover - they stayed at Chancery Lane. 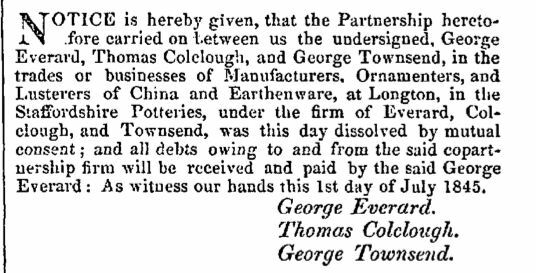 Thomas Colclough and George Townsend moved to the Lane Delph Pottery at Fenton as Colclough & Townsend.